When the first Internet shops appeared, going shopping and standing in long queues became simply meaningless. Agree that for today on such trifles just do not have enough time. So, we need to find more effective ways of solving even everyday problems. But life is a way of life, but there are special moments in life that I would very much like to spend with dear people in a pleasant and special atmosphere. Because of the work, it is not always possible to plan and organize such events. But there is a way out of this situation too! 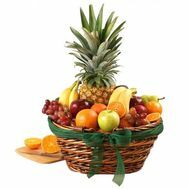 This online flower and gift delivery store is popular with a large number of customers, because only here you can order amazing fruit baskets for any solemn occasion. 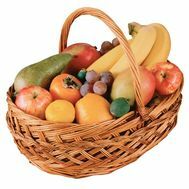 These fruit baskets are filled with sweet bananas, useful pineapple, ripe pears, ruddy apples, fragrant kiwi and others. 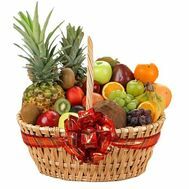 Juicy, appetizing and such beautiful fruits are neatly laid out in a basket, so that any person who would receive such a gift would be really nice! 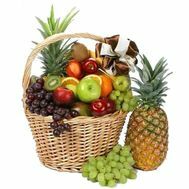 And how do you like a basket with such magical berries, whose appearance you are waiting for the whole year? 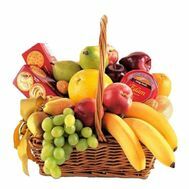 Strawberries, raspberries, strawberries, blueberries and many other berries look so appetizing that you can not refrain from buying this masterpiece! 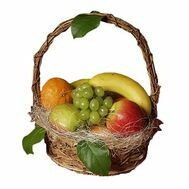 Everything is made out and packed in the best possible way, so you can give such beauty and a boss! 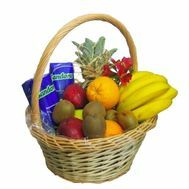 Fruit baskets with delivery can be ordered with such combinations of products that you wish. In addition, you can choose the weight of the order. 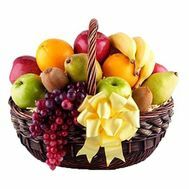 Only here do baskets of fruit with delivery a real work of art! What could be better than a beautiful and useful gift? 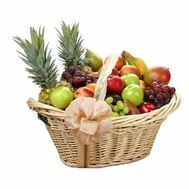 Delivery of fruit baskets is carried out in any city and settlement of Ukraine. And time chooses the customer. Do you want to make your loved ones a truly original gift? 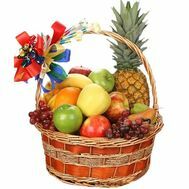 Do not know which dish is best to decorate the festive table? Why puzzle over these questions? Leave these pleasant troubles for specialists! 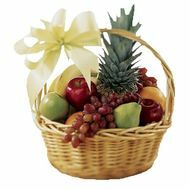 Your original gift in combination with the attention and the diligent efforts of the masters will not leave anyone indifferent. After all, it's no longer interesting to just go and buy something trivial. Who are you surprised by now? 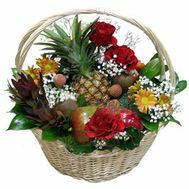 But an unusual present with the meaning, made by professional workers with love, especially for you - it's quite another matter!